Is your Jeep Renegade seat belt buckle pretensioner compressed? Airbag light on? Your seat belt buckle pre-tensioner can be repaired! It will be rebuilt to its factory condition! Our certified technicians use 100% OEM parts and test each seat belt buckle pretensioner with a dual-pro system. Stop buying replacement seat belt buckles from dealers and used seatbelt tensioners from junk yards and salvage yards! Each one of our repair services comes with Lifetime Warranty and is protected by a secured database where we keep a record of all seat belt buckles repaired in detail. Restore safety in your vehicle and drive or sell the car you're rebuilding worry-free. All seat belt buckles repaired will function like new, meeting or exceeding the manufacturer specifications and are guaranteed to work during an accident. Here at Safety Restore, safety is our top priority and we take it very seriously. We do not use resistors to trick the system like many competitors out there - our repairs are the real deal. In addition, you may need to reset your SRS airbag module. SRS Airbag Module Reset is a separate service we offer for $50 to clear and/or remove crash data and hard codes stored in the SRS module - airbag computer. We do not work with airbags as they cannot be repaired. If you are looking for an airbag replacement, please contact an authorized dealer or retailer. Seat belt buckle pretensioner repair is an alternative to seat belt buckle replacement and refurbishes your seat belt buckle pretensioner back to its original condition and function. This service is 100% guaranteed or your money back. What is a seat belt buckle pretensioner? A seat belt buckle pretensioner is the female part of the seat belt where the seat belt latch buckles into. Is is commonly referred to as simply the "buckle." While most seat belt buckles are not equipped with a gas charge, some are and serve as a secondary restraint. 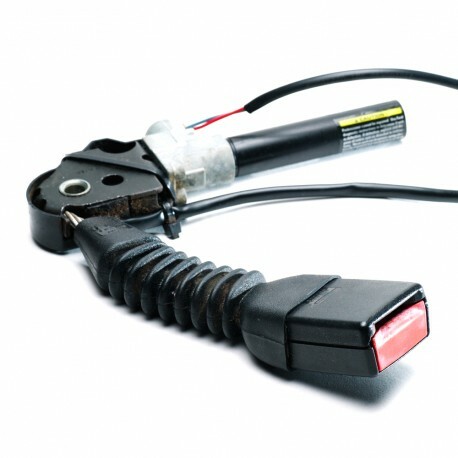 A gas charge is a small explosive device engineered into the seat belt that goes off during an accident. While many cars only have a gas charge in the seat belt retractor, some also have them in the buckles. You will need to repair your buckle pretensioner if it went off. How do I know if my buckle pretensioner is bad? Usually it is really easy to tell if your buckle pretensioner is bad. While scanning your system with an OBD airbag scan tool and reading the codes is the most proper way, you can visually inspect the buckle and tell if it's bad. It will look compressed and/or "squished" in. This repair service is compatible with seat belt buckle pretensioners from ALL MAKES & MODELS* 1996 and up. Upon purchasing this service, you will need to ship your seat belt buckle pretensioner to us. We have the largest compatibility service of makes and models in the nation. If we can't repair the seat belt, no one can! This is not a seat belt repair kit you are purchasing for your faulty seatbelt. We do not sell any seat belt parts or components inlcuding sensors, inflators, gas-charges, plugs, wire harness and more. 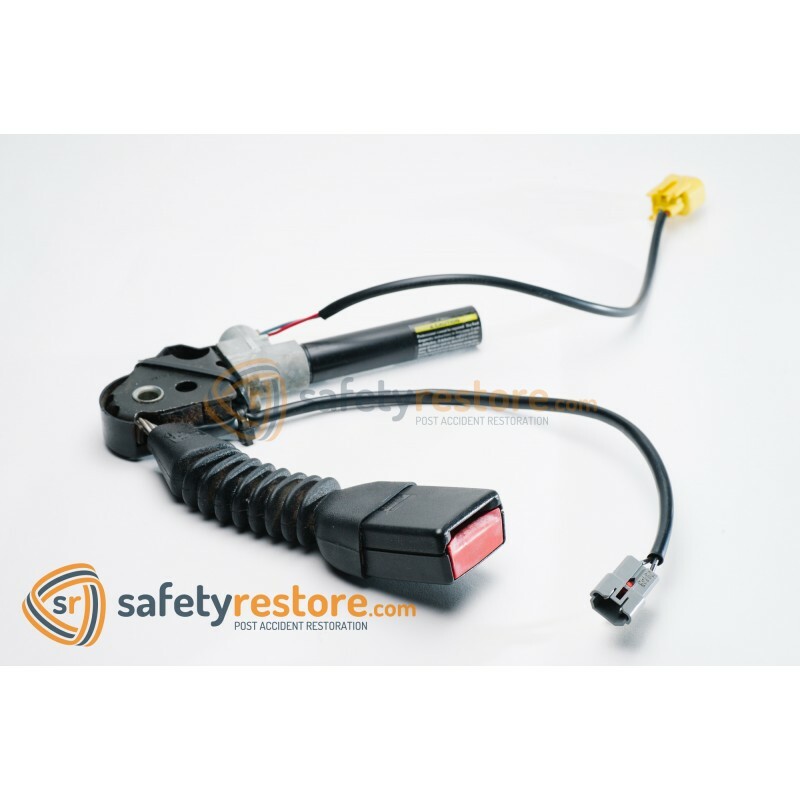 You are purchasing a refurbishing service that will restore your existing seat belt to factory condition. If you are working on a salvage vehicle, you will need to have your seat belts repaired in order to pass the safety inspection.